This paper reflects on why the field has struggled to effectively design, monitor and evaluate programmatic efforts and offers insights on how methodologies developed for and lessons learned by the fields of peacebuilding and development can be applied to address current challenges. 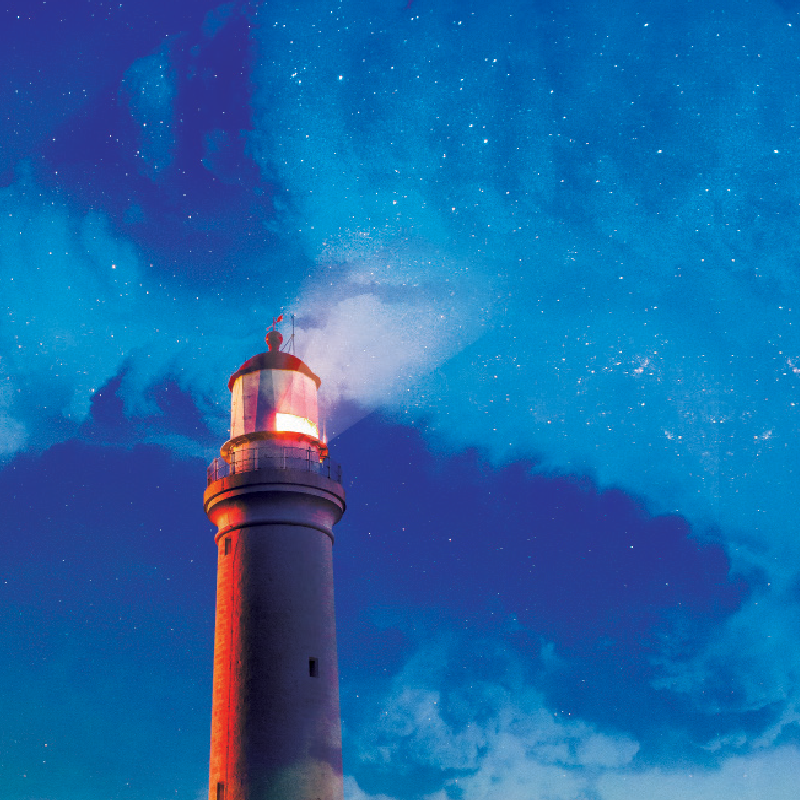 This paper aims to contribute to improving the relevance and effectiveness of P/CVE approaches, including through the critical consideration of both the policy context in which P/CVE exists and the types of efforts being undertaken under this heading. CDA seeks financial supporters for a new collaborative learning initiative regarding the relevance of P/CVE strategies and programs. 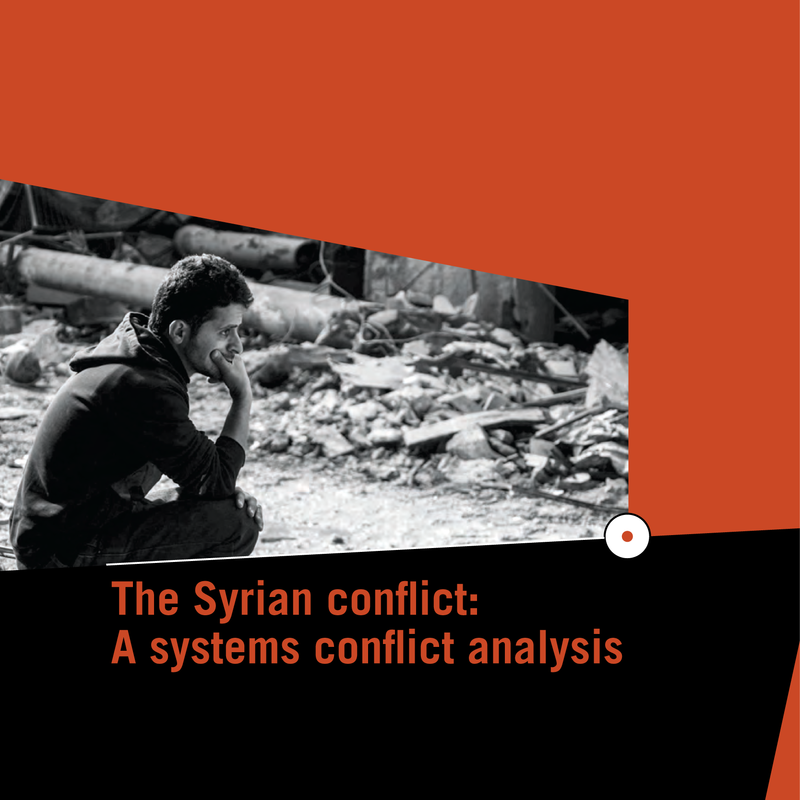 The objective of this project is to advance the analytical understanding of what works and what doesn’t work in P/CVE approaches, to test existing theories of change, to strengthen the evidence base, and to ultimately promote more conceptually and practically sound engagements on P/CVE from a policy and practice perspective. Suggested citation: Ris, Lillie, and Anita Ernstorfer. 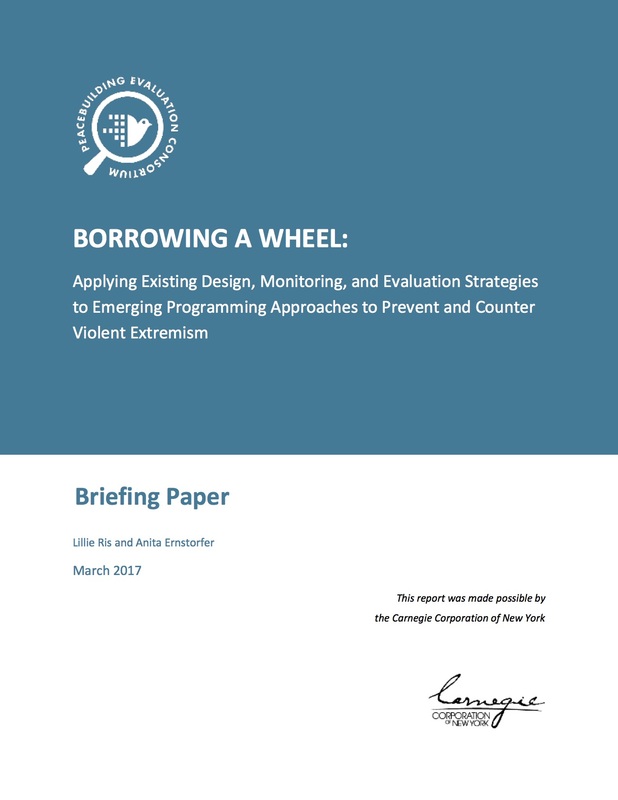 Borrowing a Wheel: Applying Existing Design, Monitoring, and Evaluation Strategies to Emerging Programming Approaches to Prevent and Counter Violent Extremism. Briefing Paper. Peacebuilding Evaluation Consortium, 2017. 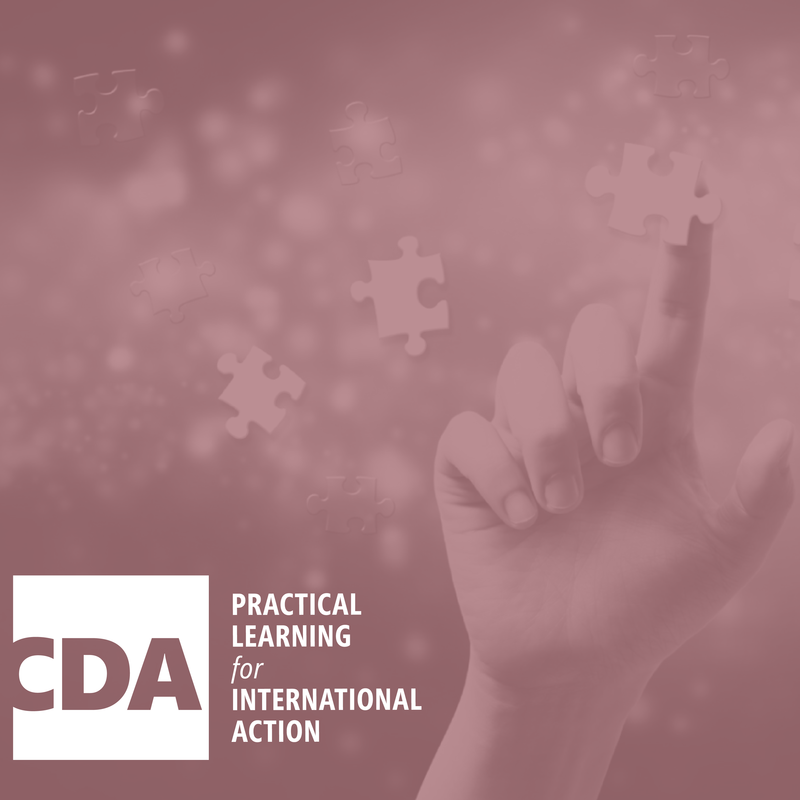 This resource has been developed by CDA Collaborative Learning Projects in partnership with the Peacebuilding Evaluation Consortium (PEC) and with funding from the Carnegie Corporation of New York. The authors would like to thank the subject matter experts who shared their insights in a series of interviews conducted in February and March 2017: Georgia Holmer (US Institute of Peace), André Kahlmeyer (Conflict Management Consulting), Johnny Heald (ORB International), and Martine Zeuthen and Gayatri Sahgal (the Royal United Services Institute (RUSI)). We are also grateful to our reviewers Lisa Schirch (Eastern Mennonite University, EMU), Rebecca Wolfe (Mercy Corps), David Alpher (Saferworld), Isabella Jean (CDA Collaborative Learning Projects) and Elizabeth Hume (Alliance for Peacebuilding, AfP) for their thoughtful input. Lillie Ris is an independent consultant, specializing in designing, monitoring, and evaluating stabilization programming. She has over a decade of experience in program assessment and management, including six years of field experience in the MENA where she implemented and evaluated programming in the areas preventing/countering violent extremism, community security and access to justice, civil society strengthening, gender, and youth development. Committed to program effectiveness and facilitating institutional change, Lillie has worked with field teams and management at a variety of implementing and funding entities, both designing monitoring and evaluation systems and conducting evaluations, as well as supporting strategic planning processes. Lillie holds a Masters degree from Fletcher School where she focused on human security and evaluation in conflict-affected and post-conflict settings. Anita Ernstorfer is the Director of Advisory Services at CDA Collaborative Learning Projects. She has fifteen years of international experience working with CDA, UNDP, UNICEF, GIZ, EU, academia and local NGOs. She is currently developing a new collaborative learning initiative on effective approaches to prevent violent extremism (PVE), collecting evidence on what works and what doesn’t in this field, and related theories of change. Anita has substantive expertise in conflict prevention, peacebuilding effectiveness, governance programming, conflict analysis, and conflict-sensitivity/Do No Harm. Anita is an experienced facilitator and trainer in systems approaches to peacebuilding work, including systems mapping. She works on the development of new design, monitoring and evaluation approaches to peacebuilding and conflict sensitivity. She also contributes to CDA’s ongoing collaborative learning initiative on the role of business in peacebuilding. Anita has led numerous engagements with governmental, non-governmental and private sector stakeholders as an advisor, facilitator, trainer, program manager, and applied researcher in MENA, Africa, Asia, and Latin America.